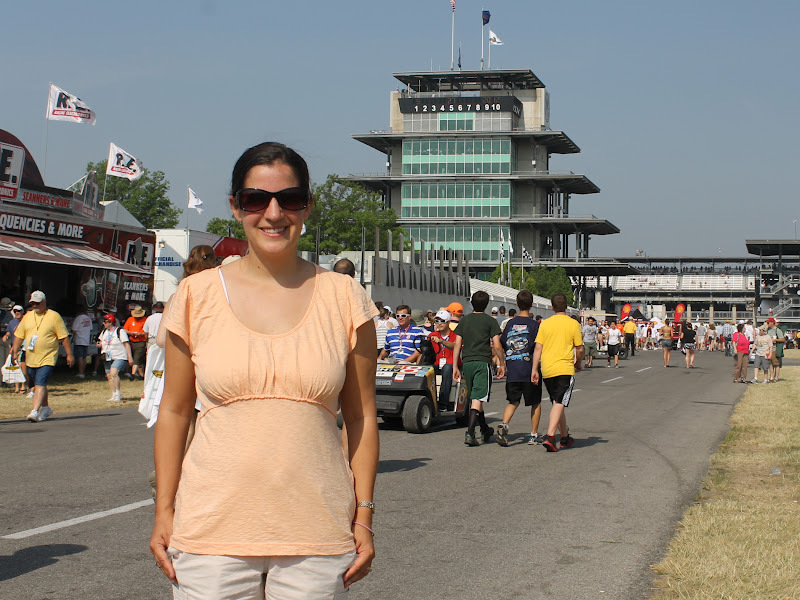 With temps expected to be in the 90s, and understanding that it always feels even warmer when sitting on aluminum bleachers, inches from 250,000 other race fans and a 2-mile black pavement track, I knew I better dress with keeping cool in mind. The fabric is extremely thin, and so I knew it would keep me as cool as possible. I also liked that it covered my shoulders, since sunburn is always something I worry about at the race. It's a really flattering top, particularly if you're working with a post-baby body. Flows nicely around the tummy, but still fitted. The shirt sells for $44. Maybe I'm just cheap, but I don't normally pay that price for a cotton short-sleeved shirt. Because the fabric is so thin, it is a little sheer. I'd choose a darker color next time. You can browse Fresh Produce's other women's tops here. I don't own any other clothing from them, so I can't speak to the quality of all their products. But I'm pretty happy with it and I'm sure it will become a staple in my wardrobe this summer. Disclosure: I received the BFF top from Fresh Produce to review. All opinions are my own. You had me until $44. OUCH! There is no shirt that pricey in my wardrobe- not even in my running gear. I can't tell you the first thing about women's fashion, but I can tell you that you look good in that top. Does that count as an endorsement?